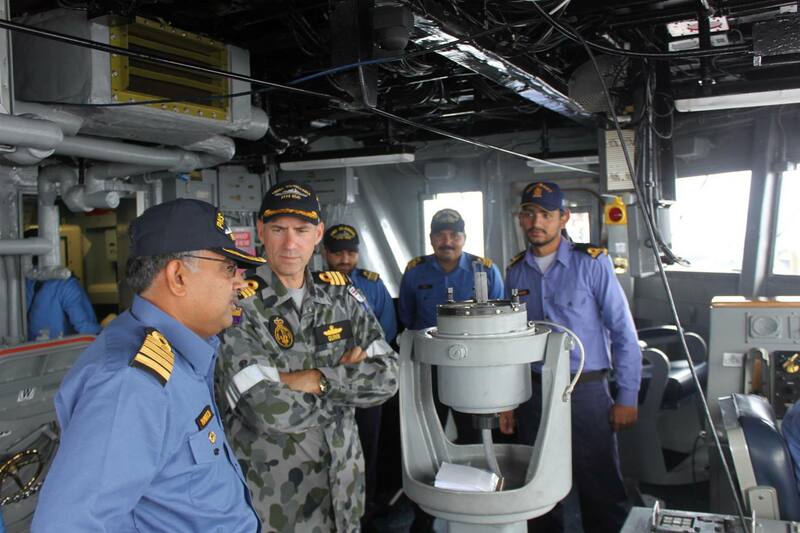 Members of the Australian Navy Ship HMAS Toowoomba and the Pakistan Navy’s PNS Alamgir swapped duties for a day, Aug 17 – 18, during a recent exercise in the Gulf of Oman. Naval personnel from the two countries showcased their marine skills and interoperability between coalition partners. 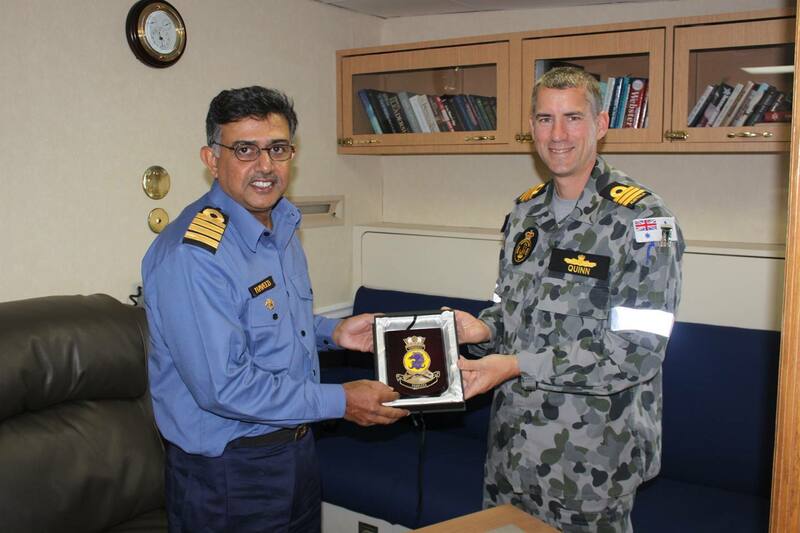 Commanding Officer of HMAS Toowoomba, Commander Andrew Quinn said the opportunity to “cross-deck” allowed two Royal Australian Navy (RAN) Officers and three Petty Officers each day to experience the battle space on PNS Alamgir whilst reciprocal Pakistan Navy ranks had a similar opportunity on Toowoomba. “Given the vast patrol areas that Coalition warships operate within the Middle East it is a rare opportunity to actively exercise and demonstrate capability with other coalition partners,” Quinn said. Representatives with specialisations in warfare, marine engineering, communications and supply were provided comprehensive tours of the respective ships whilst also being able to view helicopter operations, boarding exercises and officer of the watch manoeuvres. “The serials highlighted that there is considerable goodwill amongst the coalition of nations that are working to counter piracy and terrorism in the region. The two days of combined operations was also testament to the adaptability and willingness of coalition forces to share their knowledge,” Quinn said. HMAS Toowoomba is presently deployed in support of Combined Maritime Forces (CMF) maritime security mission Combined Task Force (CTF) 150. 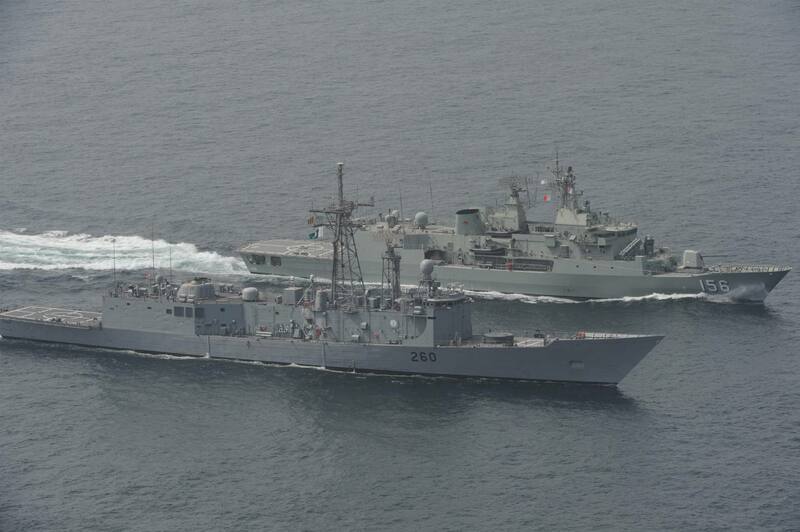 The Australian Frigate will remain in this region until mid-October, after which it will return to Australia.